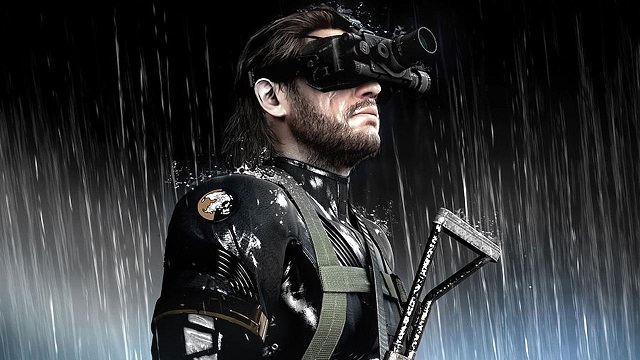 This particular blog comes to light after the recent comments some consumers are throwing against Metal Gear Solid: Ground Zeroes, and the main issue to drawing some conclusion to a final verdict – mainly because of the length and value attached to it. Should games be judged on their experience and build quality despite the worth? I’m going to plant my flag in the sand and state firmly I believe the two are inextricably linked. I’m of the belief that games are a creative form of electronic art, but I’m also aware they are a product that is created for a demographic and consumer user base. And when that happens you have a price range of what’s expected. And when those expectations are shattered, it’s naive to think that people will put up with it. It’s the same with any product that is being sold, with the content weighed up in the consumers mind. A great game will be a great game regardless, right? But the same could be said for a car. It could be reviewed as a great £25,000 vehicle. There’s no denying it’s mechanically great, with great economy, it provides an experience that’s demanded of that price range. But what if this car launched at three times the price? Especially when other cars offer so much more for less. No one would question the build quality, but what would be thrown into question is the price. And as a consumer that is loyal to (insert franchise here) we have to wonder, are we being exploited? It’s then very apt that Kojima’s latest installment draws on such themes in his story. Art imitating life? The analogy I’m painstakingly highlighting here is a rather meager playtime asking for £30 of your hard earned cash. But wait, am I being a self entitled brat? I have no doubt it will be a great game. But I seriously struggle to justify £30 for a game that offers very limited gameplay time. The main story is essentially the game here, and that’s clocked in at around 2 hours. At a time where we’re spoiled with games that offer hours of gameplay, with rich graphical content and AAA budgets, why should MGS be different? It is easy to forget that such games did exist in the past around the 80′s and 90′s on both the 8bit and 16bit platforms. Golden Axe anyone? My conclusion is it is a bitter pill to swallow. I honestly don’t know where this is going to end up in terms of a business model. Some people will pay any amount for something they love and who am I to tell them how to spend their money? Publishers seem to be trying to find cracks in the micro transaction business model, and this is one way to open it up. Episodic games are finally starting to gain traction and perhaps this will trend with the big franchises. The costs are higher, especially for the gamers, and the only influence over that is whether ‘we’ pay more for less. Here, Konami, offers us a limited product in the form of a paid demo. And I’m not sure if the demographic realise just how obtuse this is, at least until they play it. I’ll sum up my opinion on where I stand on the matter. I believe this should have been treated as a free demo only, or, released with the full game. I don’t buy the marketing ‘Prologue’ spat. Think about it, why would Konami be packing in so much superfluous side missions to bulk it out? It’s to justify the price, and that sends my consumer senses tingling. Obviously, that wouldn’t make any money. But we’re essentially paying £80 for the full experience. I only wish Konami weren’t so disingenuous and try to hide that behind smoke and mirrors.